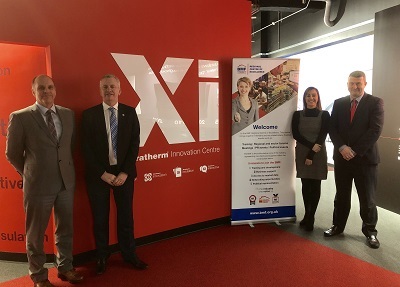 The BMF has launched its 24th Regional Centre of Excellence with the support of Xtratherm, the second BMF Centre hosted by the thermal insulation manufacturing company. The growing network of BMF Regional Centres of Excellence is making training courses and regional meetings more accessible to BMF members around the UK and Ireland. The latest centre, based in Xtratherm’s excellent premises in Chesterfield, will serve BMF members in Derbyshire. For details of all the BMF Regional Centres of Excellence please click here and for more information about Xtratherm visit https://www.xtratherm.com.